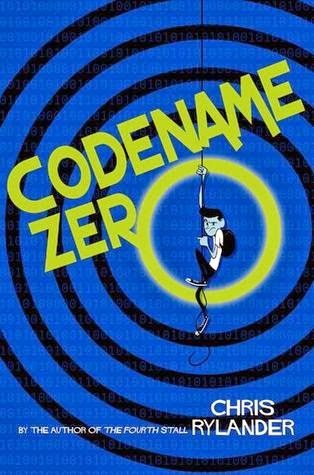 Codename Zero by Chris Rylander is a spy adventure for middle-grade readers. There's lots of action throughout the whole book. Carson ends up involved with a secret government agency that operates right in his town, and he becomes responsible for protecting a boy in his school who is in a witness protection program by helping him to fit in with the other kids. The story is fast-paced, exciting and fun. The content is perfect for older elementary kids and should hold their attention well. My 10 year old loved it. There is some violence since they are on a spy mission and there are bad guys, but it was minimal and mostly toward the end of the book. I really enjoyed Codename Zero and would highly recommend it for middle-grade readers looking for a bit of adventure. I would think it would appeal to reluctant readers as well, since the character of Carson is very relatable and the storyline moves quickly and includes plenty of fun as well as action. Connect with Chris Rylander on his website or Twitter. Codename Zero is currently available for just $1.99 on Kindle! And book two in the series, Countdown Zero comes out in February of 2015. This review was written based on an uncorrected proof of Codename Zero that I received from the publisher in exchange for an honest review. I've got a couple of readers in that age group! TBR'd on GoodReads. Great! It's a good one! I will have to see if my oldest would be interested in this series. Hard finding books for him because he has read so much in the genres he likes. Is this like 39 Clues because he loved that series. I haven't read 39 Clues but C says it's different because in this one, the mission is secret.